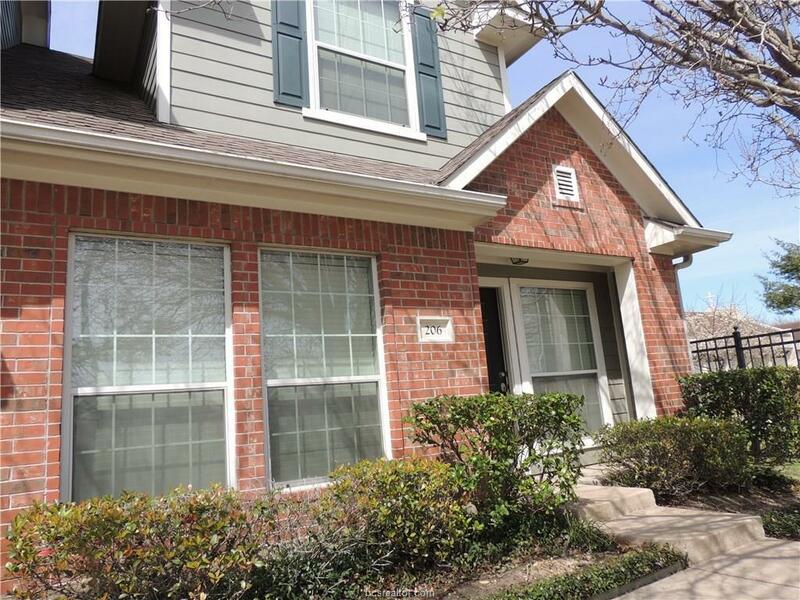 Awesome 3 bedroom, 3 bath directly across Central Park in a gated community. 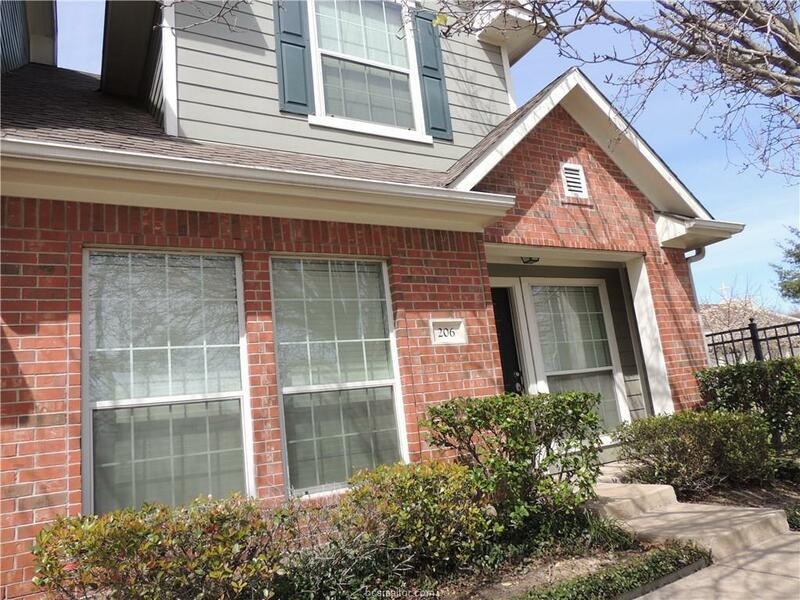 Spacious bedrooms, large walk-in closets, open kitchen with eating bar, granite counters, tile backsplash, separate pantry, near the TAMU shuttle bus stop. Fenced yard, basketball court, and swimming pool. HOA maintains yard and all grounds. 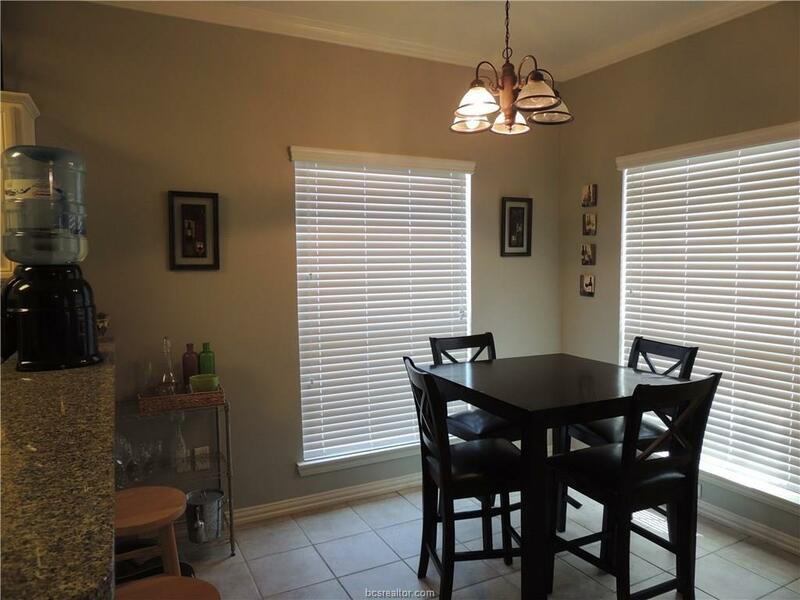 Excellent location with assigned covered parking space and 2 additional spaces near the back door. 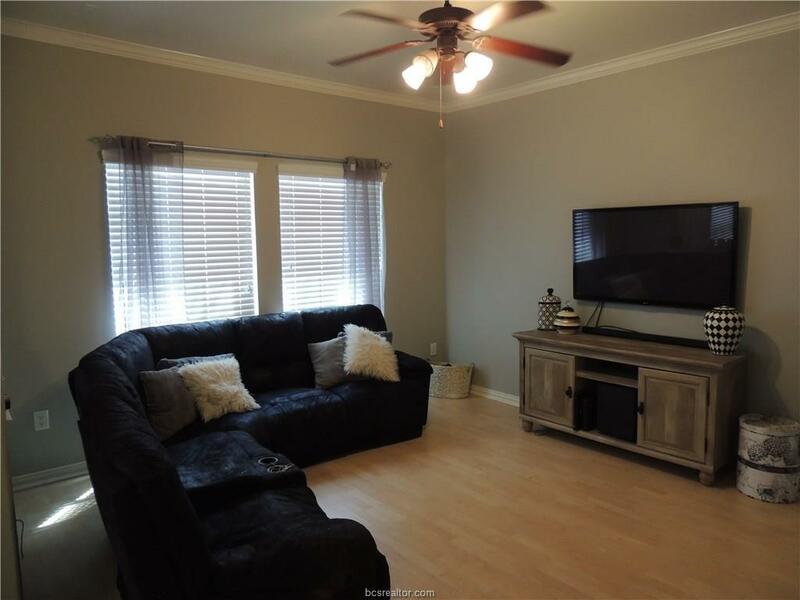 Refrigerator, washer, and dryer will convey.Newer paint.Carpet is 1 1/2 years old. Carpet to be shampooed before closing..